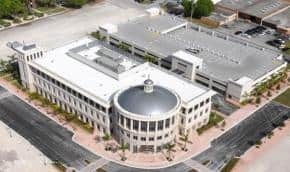 By properly maintaining a low-slope asphalt roofing system, building owners can greatly impact its service life, reliability and performance. The Asphalt Roofing Manufacturers Association (ARMA) has identified six steps all owners should follow to properly care for a roof. Step 1) Maintain historical records. All roof inspections, maintenance and repairs should be documented as well. Step 2) Control roof access. Building owners should allow roof access only to trained professionals and only when maintenance is required. Roofs are not generally designed for extensive foot traffic. Step 3) Conduct regular inspections. Each spring and fall, a roof should be inspected by a professional roofing contractor. The contractor should inspect each visible component of the roof and identify areas that may require additional attention. Inspections can help to identify potential roof damage or leaks before they occur. Step 4) Ensure routine maintenance. Routine maintenance can be conducted by the building’s trained maintenance personnel. This includes removing debris, such as construction waste or tree limbs from a roof. Leaves and dirt should be removed from drains and gutters to ensure proper drainage. Tree limbs that overhang a roof should be trimmed. Step 5) Report leaks or roof damage immediately. If evidence of roof damage or a leak is found during routine maintenance or an inspection, building owners should contact a roofing contractor immediately to address the issue before it gets worse. Step 6) Use a professional roofing contractor for major maintenance and repairs. 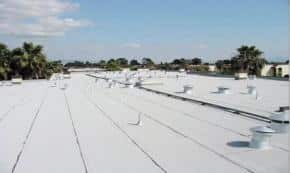 All major maintenance procedures and roof repairs should be handled by a professional roofing contractor after consulting the membrane manufacturer. Do not attempt these actions yourself. By following these steps, owners can maximize the value and service life of their roofing investments.